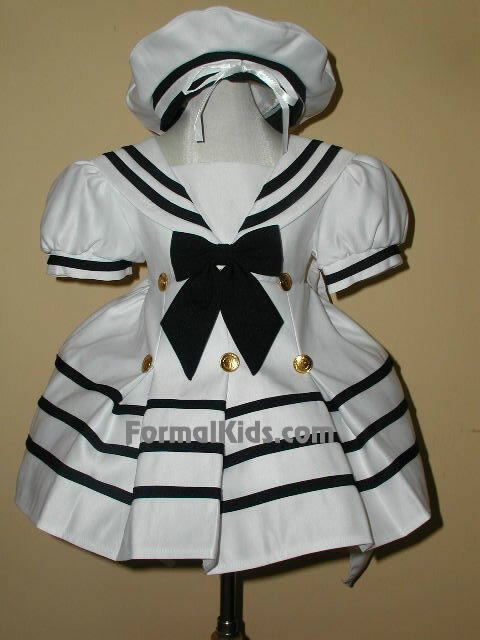 This beautiful sailor inspired dress works great for sport wear for all levels of pageants or for any formal occasion. Dress comes complete with matching hat. *Matching socks, shoes, petticoat, gloves, or headband available for purchase. See Children Accessories.